In a space and time where earning a living is literally one should break a leg and practically everything has its monetary value, keeping a balance in this continuum is quiet an illusive stunt to achieve. And probably the invention of coupons flown in over a thousand websites in the internet which has gain popularity over the last two years has in someway addressed this adversity. 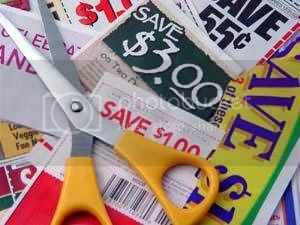 It’s truth unfolding that the coupon economy has truly served millions of netizens making purchases in a way a little lighter, oh well, count me in; for quiet sometime now I’m living my city less thanks to hot deals and rock-bottom coupons available online. For someone who feeds five mouths in one sitting at three times a day rate that would leave one wheezing. Seriously, I care less about what marketing strategy these online companies have, one thing I realized if you conscientiously keep in track, do your assignment in clipping and printing - it sure would save your day. Just recently, I bought my son a watch, that dang Spyder costs a day of me standing, talking and whining, but thanks to these hot deal coupons online, I saved more than half of its suggested retail price. All these brought me to understand one thing - that living in this today’s space and time is not about whether you have or you don’t have, it’s about manipulating strategy to turn what you don’t have to get your coveted must have.